Critical illness is part of the remit of rural doctors, albeit encountered relatively infrequently – which of course makes it all the more challenging! Moreover rural doctors have to deal with such cases with limited staff, no backup and paucity of lab tests and definitive care. 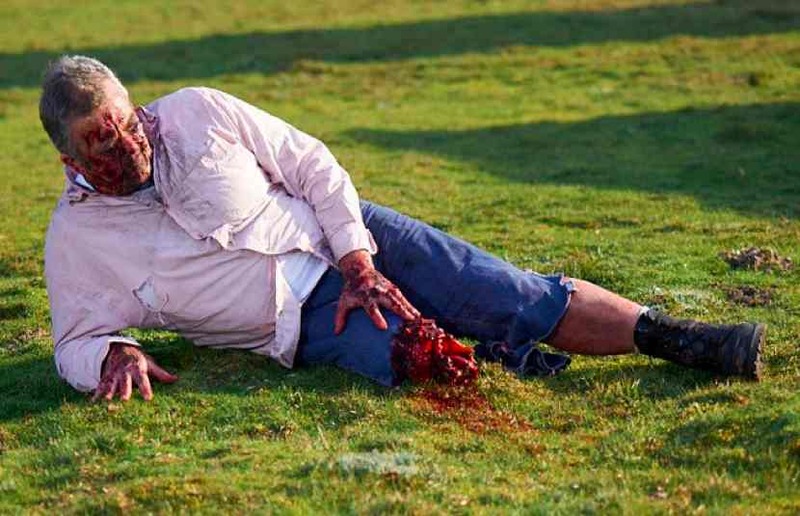 Perhaps one of the most commonly encountered true emergencies in the bush is dealing with major haemorrhage. Our patients work on farms, in heavy industry, or are involved in road crashes. Let’s consider a hypothetical case and see how FOAMed could help. It’s Tuesday morning and you are busy working through a routine Primary Care Clinic in anticipation of the afternoon off. The local Rotary are hosting a BBQ at the nearby football oval and you’ve been invited as a guest speaker on the pros & cons of prostate cancer testing. Clinic is rudely interrupted by a loud “BANG” from the direction of the footy pitch – looking out the window you see a pyre of smoke and decide to abandon Clinic to investigate. C – obvious traumatic amputation. P 120 BP 80. Cap refill 3 secs. Tender in LUQ. E – clothing tattered. Numerous glass shards embedded in zone 2 of neck and across the shoulder girdle. Q1 : What are your priorities in managing this patient? Yes, we’ve all done EMST/ATLS courses. But does this approach really work? Q2 : What equipment is available in YOUR hospital (or prehospital pack) to help manage his bleeding? Circumstances will differ – I’m interested in your answers! Q3 : The patient has a history of non-valvular atrial fibrillation. Some bright spark (not you) decided to start him on dabigatran 3 months ago. What next? Like it or not, there’s a whole gamut of new blood thinners out there – which affect trauma management. Q4 : Retrieval services are flat out elsewhere in the State and will take at least 2 hours to arrive. Is there anything else that can be done locally? By Http://about.me/timleeuwenburg in Rural on August 24, 2013 . 1) “DRCABC”, with the first C being for catastrophic haemorrhage – he is still talking, but will not be for much longer if we don’t stop the tide. 2) We need to stop the bleeding well before hospital, but once there I would give him tranexamic acid ASAP given risk of other/internal bleeding (and CRASH-2). 3) Bugger…. I gather Prothrombinex still helps, which I suppose makes sense as dabigatran is a factor 2 inhibitor, and prothrombinex contains lots more factor 2. So I’d start the normal 1 vial per 10kg, and phone a clever doctor ASAP…. 4) Do not excessively fill him with fluid – we do not need any more pressure than to keep his brain perfused (once intubated aim for SBP of around 90, and hopefully some urine output), and we do not want to dilute the clotting factors with liquid which neither clots nor carries oxygen. And he will be getting lots of oedema anyway, so lets not make it worse than we need to. If we do need fluid, blood would be a good option (the fresher the better). Give him a dose of antibiotic (clearly a compound fracture) – given the potential environmental contamination it may be better to go a bit broader than just a gram of cephazolin… maybe a decent doze of ceftriaxone and metronidazole or fluclox/gent/flagyl (the latter would hit the gram positives better, but maybe also the kidneys/ears). Once he is properly surveyed and stable, we should be able to remove the dressing (or release the tourniquet) and tie off the main bleeders, before giving the wound a decent clean (but leaving as much tissue there as possible for use later). Correction – Dabigatran is a direct inhibitor of thrombin (the enzyme which turns fibrinogen into fibrin), not its precursor prothrombin (which is factor 2, and in Prothrombinex)…..
– I am not sure how many rural hospitals have Novo7 (not sure why this works if the thrombin is still inhibited) or dialyisis…. Hi Tim – rough day “at the office”. I will have a crack at a non-alphabetical approach to this one! 1) Get control of environment – ensure safety of spectators, self and patient. IS there going to be another explosion. Delegate a Rotarian (e.g.. a plumber) to check out the gas bottles. 6) Assume this is going to be a tough tube. Possible trauma to trachea / lungs, facial & pharynx oedema. OK guys that is my first reaction. I will leave it to the rest to correct and carry on the good work! Great case! I’ll take a stab. Q1) My immediate priorities of this patient are (in order): Get a tourniquet on that leg, obvious airway compromise – intubate as soon as able , obvious internal bleeding (pelvis too? probable.) TXA right this second (sooner the better), PELVIC BINDER, dabigatran cascading the bleeding (probable head bleed), glass in the neck (subq emphysema? pneumothorax?). Really, he’s got a lot of factors here that aren’t in his favor. Q2) My current pack has combat tourniquets, gauze, and saline. Q4) If we had time get out the ultrasound probe and perform an eFAST. Give this man blood products if we got it 1:1:1 (the less dilutional coagulopathy the better). Stable enough for a CT? Grab a pan scan if we can – definitely one of the head. ROTEM guided coagulation factor replacement if we want to get real fancy. Damage control surgery once he gets to where he’s going. Tim – I reckon the dabigatran is a red-herring! Actually – even if he is on nothing – the best thing to do is surgical fix of anything bleeding. The whole massive transfusion / PCC /TXA etc (Novo seven has a poor evidence base) is all window dressing around the main intervention – clamp / tie-off / pack and sew up anything that is bleeding! The mantra should be – don’t give him anything that makes his coagulopathy worse, keep him warm and manage his acidosis. Spending time and effort on searching the cupboards for exotic factors is not a good idea! How many hands are available? 1. Gloved hands on the bleeder. Too easy for a tourniquet to become venous, especially if applied when patient is flat and then patient is resuscitated. – massive transfusion pack – 1:1:1 or whole blood. – release pressure, see if it’s clotted (unlikely with dabigatran onboard), maybe a quick stitch-tie (can be redone in theatre) or even just a haemostat.